Welcome to Walk With Me! You’ve taken the first step to change the life of a child served by Easterseals. Join the thousands of MassMutual associates that have walked in support of Easterseals. The more funds raised by you and your teammates, the more impact we can make on peoples' lives through Easterseals. 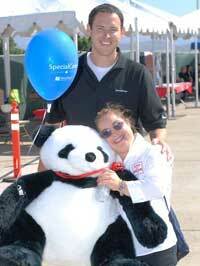 Easterseals and MassMutual have partnered for more than 15 years. During this time, we have worked together to successfully position the SpecialCare™ Program as the leading financial planning solution for families living with autism and other disabilities among new and traditional media, consumers, nonprofit organizations and other stakeholders. 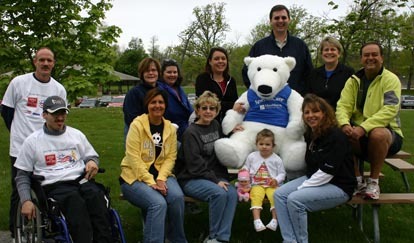 Together with your colleagues, friends and family, you can be proud to know that when you register as a MassMutual team or team member, you’re joining a national effort to make a difference in the lives of families living with disabilities, while raising funds that stay in your local community. "Walk With Me is an easy way to give back, get our company involved in the community and spend a great day with friends and family!" "Walk With Me is a great way for me to network with Easterseals clients, staff and donors to begin relationship-building in the local community." * Please note that the funds reported below are dynamic, and represent constantly-changing fundraising data that each walker, team captain or Easter Seals affiliate has reported online. These results may be inconsistent with actual funds raised, due to offline and/or unreported gifts.